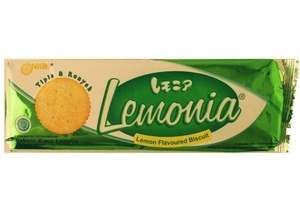 Nissin Lemonia Lemon Flavor Biscuit in 4.5oz (130g) pack. Delicious thin and crispy lemon flavored biscuit. Product of Indonesia.Halal Certified حلال .